Karachi, May 2: |Faith has no boundaries whether it may be physical or geographical; the true devotion towards religions makes any environment sacred. Something same happened on the land of Pakistan on April 28th as in Karachi celebrated a Hindu festival that is Narasimha Chaturdashi with grace and devotion. On the occasion Narasimha Chaturdashi many devotees came from different areas of the city with different kinds of Prasads in their hands to offer to the lord. Different communities like Gujarati, Marwari, Kathiawar, Lassi, Meghwar etc gracefully participated in this programme and made this as one of the biggest festivals of Hinduism in Pakistan. And one of the main points of interest is that around 10000 devotees gathered for this holy event and also the Pakistan Police had given a good security for the event. Since the morning, Bhajans, Kirtans, Parvachan, Yagna all made the environment devotional and sacred. Yogi Wajahat, Hindu priest and Salman Shaik were the special guests who gave the message of Peace and Harmony the community saying that “humanity is the best Religion in the world.” They also said that they will provide medical services to the entire community with proper medical camps. President Pakistan Hindu Council Hotchand Kermani gave appreciations to the entire temple committee. 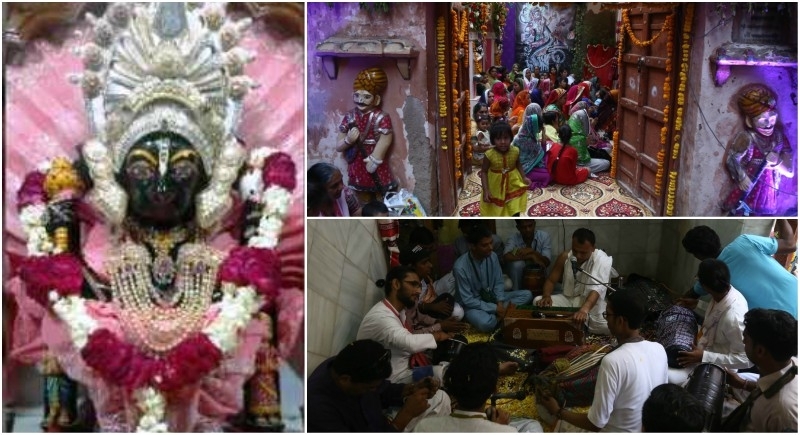 The festival is celebrated annually at Narshinga Shiv Mandir which is a historical monument in Karachi old city area. Narasimha is an avatar of the Hindu god Vishnu, one who incarnates in the form of part lion and part man to destroy an evil, end religious persecution and calamity on Earth, thereby restoring Dharma. Narsingha Avatar rescued the child devotee of Vishnu, named Prahlad, from his own evil demon father Harnakasha. The weapons of choice include very heavy metal shields and axes with long shafts which are designed to tear down shield walls. The warriors employing this style are adorned in a greater deal of body armour including chainmail; far more than Nandi. This is due to their role in providing support for the vanguard of the battle formation.